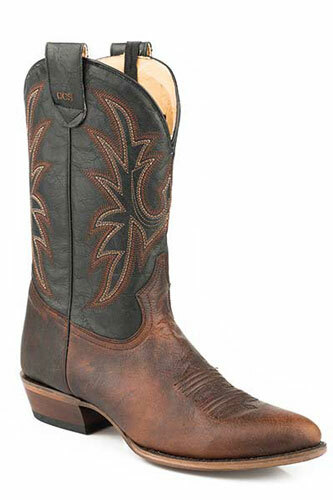 This Roper Sidewinder CCS Loaded Western Boot Features A Waxy Brown Foot Under An 11" Black Shaft With Fancy Stitch Detail. Concealed Carry System. Leather Lining. Cushioned Insole. Single-Stitched 3/4 Welt. Medium Round Toe And Cowboy Heel. Leather Sole.